A doctor in Maine who specializes in osteopathic medicine was reprimanded by the New Hampshire state Board of Medicine over allegations of professional misconduct for penning a permission slip to the employer of a patient. 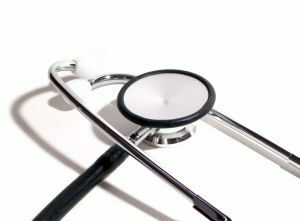 The doctor, who practices family medicine in both Maine and across the state line in New Hampshire, received the reprimand as part of a larger settlement over the incident, which he signed off on last month and which was approved this month by the state board of medicine. In addition to the reprimand, the physician agreed to under 11 hours of continuing medical education, which is going to include three hours of medical records documentation as well as five hours on substance abuse and another three hours on ethics. The patient was allegedly being treated by the doctor, who understood the patient had a history of drug abuse. In early 2015, the patient revealed to her doctor that she had smoked marijuana recently, and then shortly thereafter had to take a drug test for her job. The patient then asked the doctor to write her a note that would indicate she had a valid prescription for medical marijuana. The doctor acquiesced her requests, indicating that she would occasionally use the drug for the purposes of helping her to sleep, stimulate her appetite as well as to cope with anxiety. There is no documentation in the medical record, according to the state board’s report, that the patient was counseled against using marijuana as medicine, given her prior history of known substance abuse. Both Maine and New Hampshire have medical marijuana programs that allow individuals with debilitating medical conditions to lawfully obtain medical marijuana. Still, the power of employers to routinely drug test employees has largely gone unchallenged, and companies are generally free to write their own drug policies. As far as the liability of doctors, generally the risk doctors take on in these states is low. State enforcement is also relatively lax, but there have been cases of physicians losing their medical license for writing certifications for medical marijuana to patients that were either improper or in some way unsafe. And that essentially seems to be the issue here: Not that the doctor wrote a note indicating he had recommended marijuana for his patient, but that he reportedly did so for reasons that didn’t appear to be medically legitimate and that he is said to have done so at the risk of his patient’s own safety, given her history as a drug abuser. Patient in this case suffered from several psychiatric diagnoses and had a 15-year history of chemical dependency on opioids. The court records indicate this physician had treated the patient during that time. The doctor’s actions, the board alleged, violated RSA 329:17, specifically provisions on engaging in dishonest or unprofessional conduct in the practice of medicine and also failure to maintain adequate medical records on diagnostic or therapeutic treatment or unreasonably delayed the transfer of medical records. Our L.A. marijuana attorneys know that in these hearings before the state board of medicine, the counsel and guidance of an experienced attorney is critical.